Acer Tablet: Which Model Is Best For You And Your Wallet? Home Best of Acer Tablet: Which Model Is Best For You And Your Wallet? Let’s imagine you’re in the market for a tablet with a price that won’t break the bank. Upon beginning your research, you realize there’s a never-ending selection of devices to choose from, and you begin to wonder how you will ever decide. Does this scenario sound like your current situation? We’re here to help, at least where Acer tablets are concerned. Whether you plan on utilizing your new device for your own use, as a shared family tablet or just for the kids, you owe it to yourself to consider an Acer product. We’ll take a closer look at all of Acer’s current budget-friendly tablet offerings in this review and recommend the best choice to meet your needs. 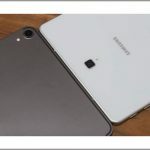 What tablet models are currently offered by Acer? Acer currently has four different tablet models available in 2018. They produce a line of Iconia One tablets that feature the One 7, One 8 and One 10 models. The number in each of the names refers to the size of the device’s screen. 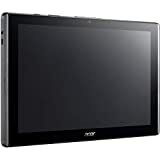 Acer also manufactures the Tab 10, which is equipped with a 10-inch screen. 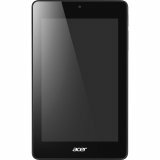 Are Acer tablets Android products? Yes, all of the brand’s tablets run on the Android platform. The Iconia One 7 and the Iconia Tab 10 both come with Android 7.0 Nougat hardware installed. Android 5.1 Lollipop hardware comes installed on the Iconia One 8. Out of the box, the Iconia One 10 utilizes Android 4.4 KitKat hardware. Who should purchase an Acer tablet? Although the company may not have a reputation for producing the highest top-of-the-line devices, Acer does have a history of creating reliable technology at an affordable price. Through our own personal experiences, as well as from our extensive research on their offerings, we’ve found this to be true. 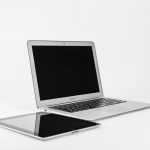 If you’re looking for the best of the best (devices that feel indestructible and are loaded with the next and newest cutting-edge technology), then Acer tablets may not be the greatest choice. If that’s the case, you should expect to pay significantly more to purchase a product that meets your expectations. If you want an affordable tablet that does what it says it will and fulfills the basic purposes of such a device, then you should definitely give an Acer model a try. 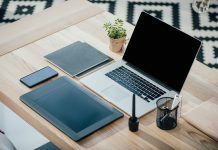 We’re all familiar with the phrase, “you get what you pay for.” When your aim is to get a great deal on a quality device that does what it says it will, you want to avoid the disappointment of realizing that the cheap tablet you purchased is, in fact, cheap. We understand that price, quality and features matter when it comes to investing in any sort of technological device, so we’ve put in the time and effort to research what each Acer tablet has to offer and what users have had to say. 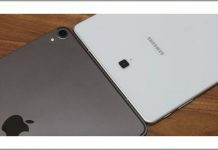 Read on for our unbiased opinions on each of their devices available so far in 2018. In general, the tablets that we reviewed from Acer tended to have lower prices than their more prominent counterparts offered by competing brands. The lowest-priced option we feature has a suggested price that is very affordable. The most expensive has a list price that goes to a higher price range. We have seen some of the pricing come down recently, so it may also be possible to find one for a steal. All of these tablets have a 1-year limited warranty on parts and labor. Acer also provides 1 year of technical support on their device hardware and 90 days of software support. With a 7-inch screen, the Iconia One 7 is small and portable, making it perfect for entertainment on the go. A quad-core CPU powers the tablet so that it can withstand game playing and video watching while maintaining a lengthy battery life. According to Acer, the Iconia One 7’s battery should stay powered for up to six hours. Equipped to hold up to 16 GB of flash memory, Acer’s One 7 comes outfitted with a card slot built in, meaning that you have the option of utilizing up to 128 GB from a MicroSD card if additional space is needed. A great tablet to accompany you on adventures, the One 7 features IPS, or in-plane switching, so that the screen is easily visible and clear when viewing from any angle and in most conditions. With dual cameras located on the front (0.3 megapixel) and back (2 megapixel) of the device, the Iconia One 7 is ready to catch the action. If you have children in the family, Acer’s Kids Center allows you to stay in control of little ones’ access, creating an environment that’s totally child-friendly. The back of the tablet is crafted with a textured feel so that both adult and child-sized hands can get a good grip. Check out the Iconia One 7 on Acer’s website to view it on Amazon. For those of you who are Amazon Prime members, this tablet is eligible for free Prime shipping. Packed with many similar features to the One 7, such as parental controls paired with Acer’s Kids Center app, 16 GB of flash memory and a quad-core processor, the Iconia One 8 may simply appear to supply the same capabilities in a slightly larger package. This isn’t entirely true, as there are several built-in features on the Acer’s One 8 that improve its usability and set it a step above its 7-inch counterpart. For one, this 8-inch tablet gains an upgraded camera over the One 7. The Iconia One 8 is equipped with a 2-megapixel front-facing and 5-megapixel rear-facing camera. From movies to games, your media viewing becomes more vibrant on the Iconia One 8. This isn’t just because of the larger size, although that certainly does help, but this model also benefits from the addition of an HD screen and HD audio. This edition of the device also provides you with more viewing, gaming and scrolling time thanks to an approximate nine-hour battery life. The Iconia One 8 also stands out in its casing that’s colored in a vivid blue shade. 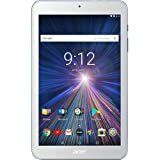 Purchase the Iconia One 8, or compare it side-by-side to Acer’s other tablet offerings, Check it out on Amazon, read owner reviews and take advantage of free Prime shipping if you’re a Prime member. Equipped with many of the same features packed into the previously covered Iconia One 7 and 8 models, the Iconia One 10 manages to stand out with its obvious differences. 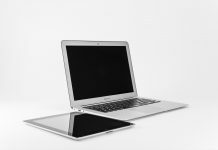 The most visible is its upgraded 10.1-inch screen, which is a full-HD display. This Acer tablet also benefits from a sound upgrade thanks to DTS® Headphone: X® technology, which provides the device with surround sound. Further upgrades include 2 GB of standard memory and flash memory storage of 32 GB. Check the Iconia One 10 out on Amazon. While not currently Prime eligible, the Acer tablet was still being sold with free shipping. With a 10.1-inch screen and many similar features to the Iconia One 10, Acer’s Iconia Tab may leave you wondering why you should fork over extra money for this tablet. In addition to coming equipped with many of the features we’ve already covered when discussing other Acer tablets, the Iconia Tab gains the advantage with much-increased memory storage, a processor with more power and upgraded front and rear cameras. With 64 GB of flash memory, the Tab has double the amount of the Iconia One 8 and One 10 models. Optimized for video, the Tab has no problem with streaming and gaming thanks to its 2.10-GHz hexa-core processor. It gains beefed-up cameras in the form of a 2-megapixel front and 8-megapixel rear camera. Check it on Acer to buy the Tab or to directly compare it to Acer’s other tablet offerings. Check it out to view and purchase it on Amazon. Although it wasn’t eligible for free Prime shipping when we were completing our research, it was still listed as having free shipping. Our opinion is if you need a device that allows you to watch videos, partake in light gaming, download apps from the Google Play Store and surf the web, then an Acer tablet will fit the bill. Although some owners do complain of less-than-stellar build quality, you’ll inevitably have to expect to give something up to keep prices low. We recommend choosing one based off your needs. 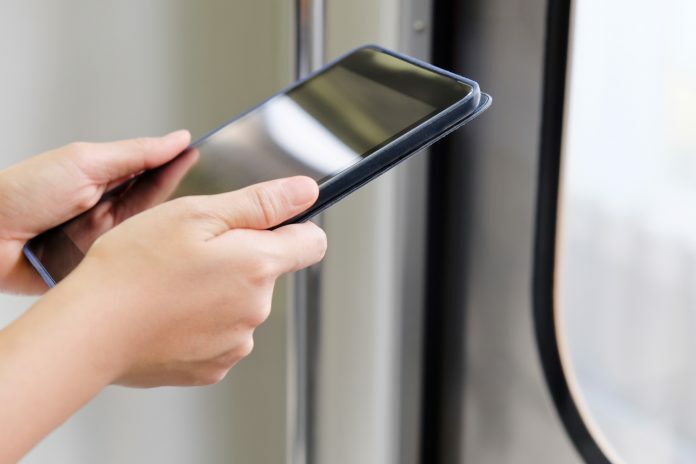 The Iconia One 7 is best for super-compact travel, the One 8 is a good pick for children, the One 10 is good if you want a nice, larger screen and the Iconia Tab 10 is ideal for higher performance. Acer tablets may not be perfect, but they are perfectly adequate options at an undeniably great price point.